Apart from matters of horsepower, handling and ashtrays car design is a lens through which one can view a number of philosophical questions. …showing the car as it is, with some window-lines marked up and then some small revisions which I think are in keeping with the designs of the period. The third side glass is neither fully aligned with the lines from the main DLO nor is it markedly different. I chose to make it more clearly different. The A-pillar of the 1993 Citroen Xantia has always looked wrong. Now I know why and the reason it had to look that way. 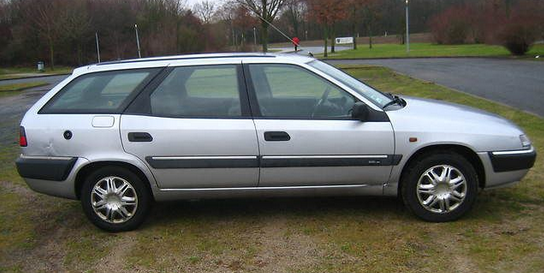 1993 Citroen Xantia as designed by Velizy.